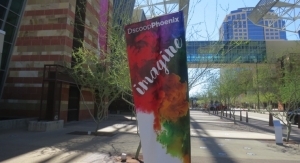 Imagine was held in the Phoenix Convention Center from March 1-4 and included a 41,000 square feet Technology Showcase. 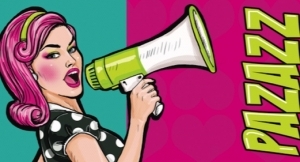 With a focus on how brands and creatives use print to spark business growth and innovation, more than 2,000 print and market service providers left Dscoop Imagine energized and eager to implement change in their companies. "Dscoop continues to attract and create an atmosphere of inspiration and collaboration," said Kathy Wise, president of DME Delivers in Dayton Beach and Imagine conference chair. "From the top industry brands to the dynamic speakers to the energetic student volunteers, sharing creativity and tech innovations continues to be at the forefront of this conference." This was the 12th conference for Dscoop, the largest and only global digital printing user group in the graphics industry. 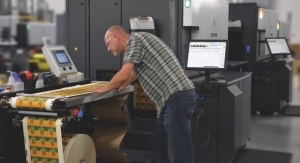 Conferences are designed to give HP Graphic technology companies a competitive advance in their markets. 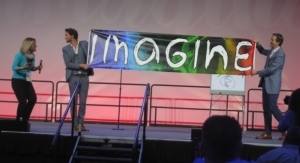 Imagine was held in the Phoenix Convention Center from March 1-4 and included a 41,000 square feet Technology Showcase with more than 100 partners displaying solutions to inspire new business processes. 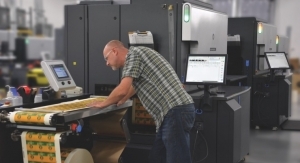 "There has never been a more exciting time to be in the print industry," said Keith Wilmot, Dscoop CEO. "Dscoop's vision, 'Innovating Print, Together' describes how this tribe of attendees and innovators, who include HP Graphic technology owners, CEOs, marketers, operators, and entrepreneurs, all believe in the power of print and leveraging HP technology solutions to thrive, grow and reinvent their markets." Attendees were entertained and amazed by Lior Suchard, master mentalist. He captivated the crowd with his mind-blowing performances and integrated the theme of imagination and collaboration throughout the three-day event. Keynote speakers Billy Beane, Oakland A's General Manager and creator of the Moneyball philosophy, discussed leveraging big data in the "Art of Winning an Unfair Game." 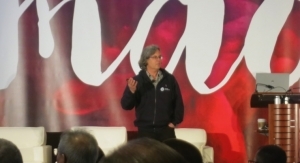 John Foley, former pilot for the Blue Angels, wowed Dscoop members with his inspiring talk on building high performance teams, and Doug Lipp, former head of the Disney Training Institute, helped unleash creativity through the magic of imagination. Keith Wilmot, Dscoop chief executive officer, introduced the attendees to the newly developed content and networking platform Spark. Spark opens channels to personal and professional innovation through interest-based groups, leading industry insight tracks, idea sharing, geo and need based product directories and more. 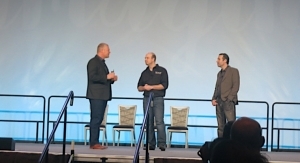 Attendees also heard from HP Inc.'s Alon Bar-Shany, general manager of HP Indigo, Stephen Nigro, president of 3D Printing and Eric Wiesner, general manager of PageWide Industrial. Charlie Williams and Brad Boskovic, DigiWrap Founders talked about building their company brand and their business experience on Shark Tank. On Wednesday evening, attendees took part in a collaborative networking experience: building bikes for at risk youth. Attendees participated in networking events and built over 180 bikes for the Boys and Girls Club of America. A flash mob surprised the crowd on Thursday night with over 50 Dscoop members, HP executives, partners, speakers and students dancing through the booths at the Technology Showcase during the opening night reception. With over 100 sessions, this year the conference included new education formats at Friday's Imagine WonderLab. Creator Circles, a Disruptor Bar and a Meet the HP Experts area created intimate fast-paced idea exchanges between the attendees and industry experts. The conference also included a Jetcomm track (HP Pagewide Web Press Community) and a pop-up event for brands and creatives offered by HP and Dieline. The two day Jetcomm track took place on Wednesday and Thursday. 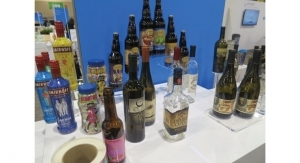 The Dieline event took place on Thursday and focused on packaging and printing trends and consumer needs and behavior. Jim Belushi and the Sacred Hearts rocked the crowd on Friday night at the Dscoop Celebration. The rhythm and blues concert atmosphere was the perfect way to top off the event. Attendees enjoyed dancing and laughing as the conference came to a lively close. More than 1,700 attendees logged into the event mobile app to discover more information on the conference. Mobile app users participated in activity feeds, answered polls, viewed the session and speaker information and used the interactive showcase map to find partners of interest. Sharing Dscoop memories as they happened, the activity feed was popular with attendees.